Massachusetts Women Fly Fishers (MWFF) was founded in January 2007. MWFF is a social organization for women who fly-fish. The purpose of MWFF is to fish, have fun and enjoy the camaraderie of other women who delight in the sport of fly-fishing. 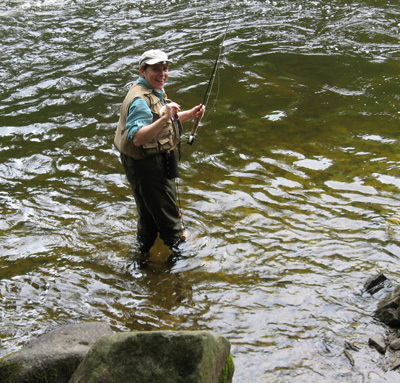 While not intended primarily as a "learn to fish" club, MWFF welcomes all ability levels, and offers a supportive environment wherein every member can improve her fly-fishing knowledge and skills. We invite you to become a member of our online social network and maybe we will see you out on the water sometime!